Call to place your special order today! 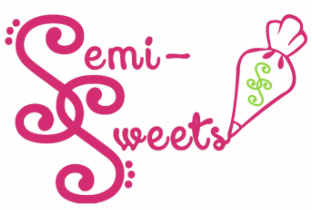 ​ Located in the Flint Farmer's Market, Semi-Sweets offers a wide variety of bakery and pastry items, using high quality ingredients. While our items change each market day, some things you may find on a typical day will include: french macaroons, cakes, a variety of signature cookies, fresh fruit tarts, scones, sammies, coconut macaroons, creme brulee, cheesecake, desert parfaits and seasonal items including our popular fresh fruit salsa. So, stop by and see us today to have a sweet ending to your day.